Bourbon and beer? I’m coming over! Haha, I’m liking Chuck more and more every day! That is one of the best looking glazes I’ve ever seen – so juicy and succulent looking and the meat looks like it’s melt-in-your-mouth delicious. Fabulous. 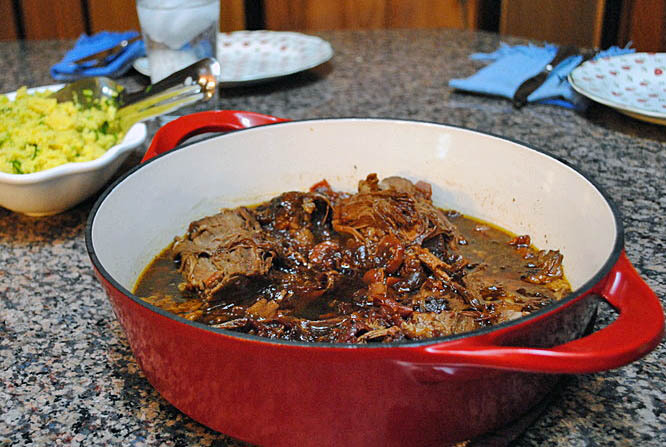 Apart from baking bread, I think my favorite thing in the kitchen is a slow braised type dish. The smells, the tenderness, comfort food all the way! Alas, we drank and cooked with our last stout. But I will happily buy more to make this wonderful recipe! Guess what? Chuck gave us another bottle this past week, and I am on the look for another special recipe for it… stay tuned! I love the look of the shredded version. My favorite type is indeed the shredded version – I love going back for an extra taste and being able to grab just a few bits of meat on a fork, sauce dripping and all…. I love succulent brown food! You have it going on here in your dutch oven! Btw, It was me that “cleaned” out you saucepan with a piece of bread, mopping up the sauce! First of all, why have I never made a chocolate cake with stout? I need to do that. 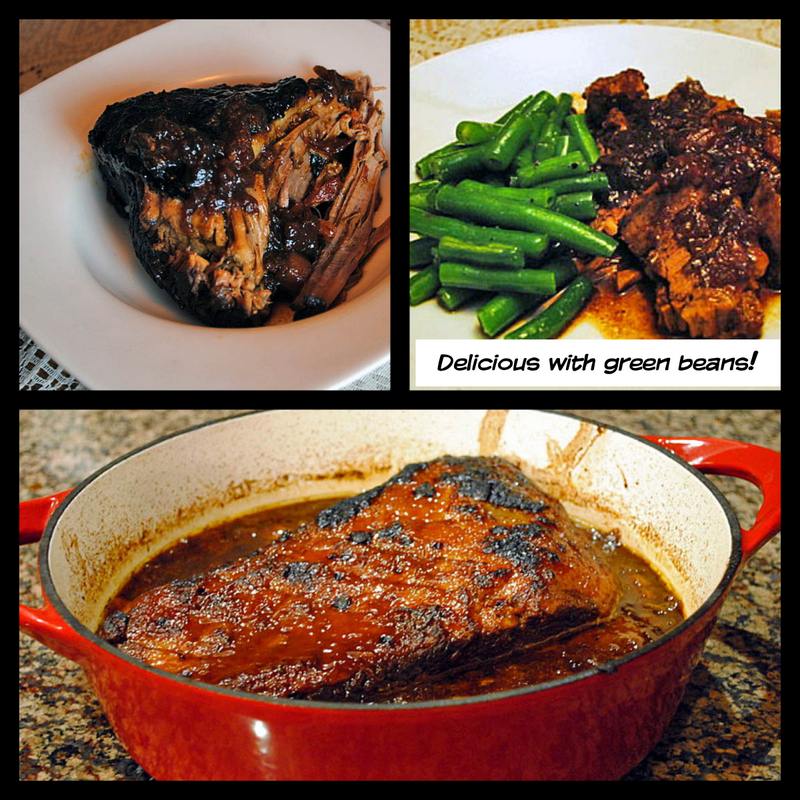 And, stout in a braising liquid sounds fantastic. I bet your house smelled delicious as it cooked. even if I didn’t still have stout I would RUN to the store to get some to make this! Bourbon and beer? It was fabulous, right?